Mobile credit card sales using your smart phone are booming however you need to hold off on using Intuit’s GoPayment with iPhone or iPad using the latest Apple operating systems, iOS6. I usually upgrade my OS as soon as possible, and in this case I’m not using GoPayment so all should be well for me. Friday: Wow, that was fast. 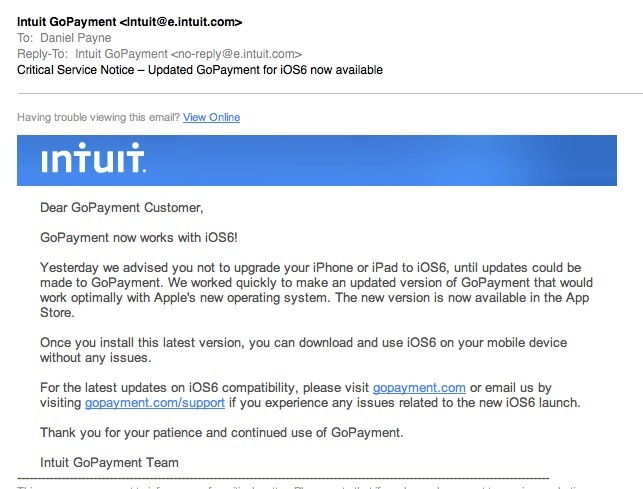 Intuit announced a fixed version of GoPayment today, now available at the App store. Enjoy. Will there be a solution for ios6 soon? 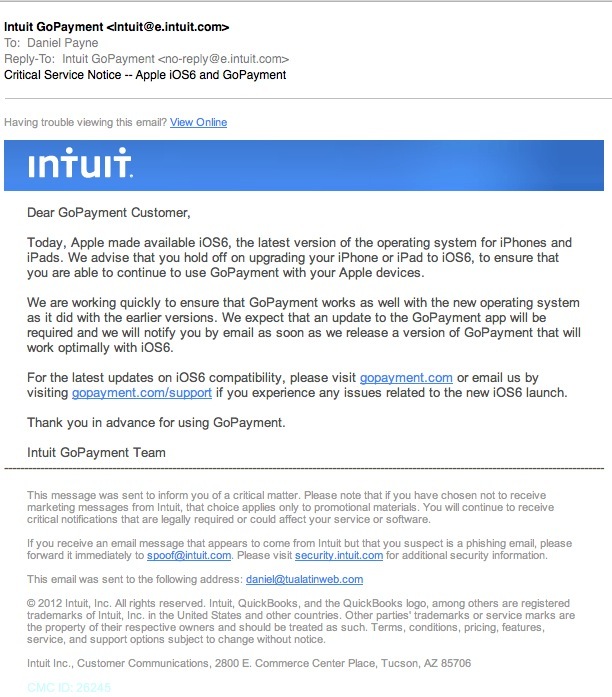 I would guess about a week or so because Intuit is very motivated to keep their GoPayment vendors happy. Intuit fixed their app in just two days, enjoy GoPayment.